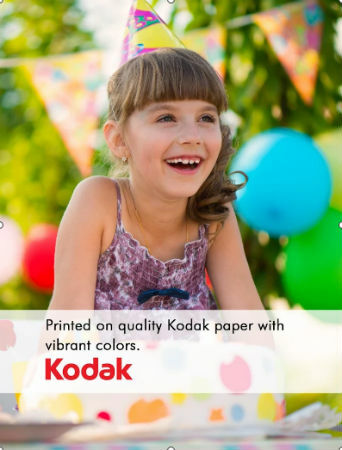 Same Day Prints, available for Android through the Google play store, is a great photo printing option that feels like a great mix of newer mobile tech and more traditional printing services. 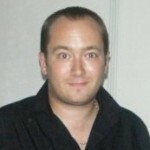 The app, and attached service, allows you to get 1 hour prints of any digital photo. You simply download the app, choose the photos that you would like to print, and the app will send them to a local CVS pharmacy store (which you can choose yourself). After an hour has passed, you simply pop over to the store and collect your photos. The great thing about this is the fact that you get the best of both worlds. High quality physical photo prints without having to wait for a delivery, using the photos that you store online using modern methods such as Photobucket. With the CVS Photo Prints App you have the ability to transform your memories into the perfect printed photo masterpiece. Enjoy sharing your photos with friends or family and use them for any photo project your are working on. From large photo prints to a smaller size for your scrapbook, all of your treasured moments can be printed the same day in sizes available in 4×6, 5×7 and 8×10 photo prints. 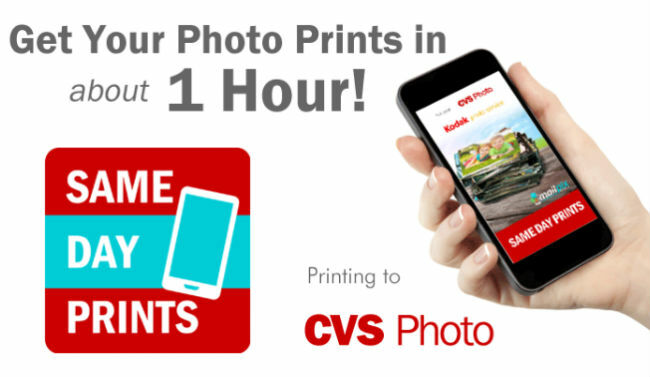 CVS Photo Printing can be done 100% from your mobile phone. CVS Photo Printing from most Android mobile phones such as Samsung Galaxy S5, S6, S7 and other Android mobile phones. This printing app answers the how to print photos from your phone question everyone has. The app is very easy to use, and featured a well designed and intuitive interface that makes it very easy to choose the photos you want printed with your order. The photos are excellent quality, printed on Kodak paper and feel much better to hold than many online print/delivery services. I like the way the app fuses traditional prints with modern smartphones, providing a great alternative to simply flicking through pictures on a screen while making the photos available as quickly as possible.